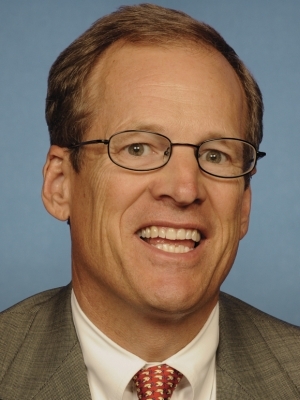 Info Congressman Jack Kingston is in his fifth term serving Georgia?s First Congressional District in the U.S. House of Representatives. During his sixteen years of public service at state and national levels, he has fought to reduce taxes, balance the budget, and to reduce government interference in our lives. Jack's conservative track record has won him recognition and awards from many non-partisan citizens? groups. He has been named each term as a "Taxpayer?s Hero, and has been recognized as "Senior Friendly" and "A Guardian of Small Business." Jack was also awarded the "Watchdog of the Treasury Award," and the U.S. Chamber of Commerce?s "Spirit of Enterprise" Award. Jack is Georgia?s only Member in the House and Senate on the Appropriations Committee, which is responsible for deciding how the federal budget is spent. Working on the Agriculture Subcommittee, Jack works closely with Georgia?s farmers and has been one of their strongest allies in Washington. Congressman Kingston is also one of the strongest communicators in Congress and is Chairman of the House Republican communications team. He is often a guest on network television programs to comment on issues of the day and to talk about current legislation. Jack retains his strong presence in the 18 counties he represents and maintains his home in Savannah with his wife Libby and their four children.